Home window replacement may be one of the largest renovation projects you elect for your home, and it may also be one of the wisest. According to the latest “Cost vs. Value Report” published by Remodeling magazine, vinyl replacement windows offer an estimated return on investment of more than 70 percent. 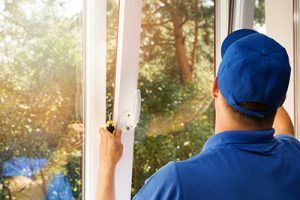 That’s because vinyl replacement windows generally reduce the maintenance demands associated with older windows, while boosting energy performance year-round. They add maintenance-free beauty and style to any home. When it comes time to sell, these benefits can be passed on to the next buyer and make a home more valuable. Whether you want to replace one window or every window in your home, Creative Construction Group can make your plans a reality. We feature windows from Advanced Window Corp., a Chicago-based manufacturer that offers a variety of styles, colors and features. We can educate you on all the options available and help you select the one that meets your budget and preferences. We can also evaluate your existing frames and insulation to help you save on home window replacement and get more value from your investment. All windows can be custom-made to fit your existing openings exactly. Creative Construction Group works hard to provide you with top-quality windows at prices you can afford. Our customers have come to know us as a company they can trust to provide unparalleled service and expert advice – and that’s a reputation we’re proud of! To schedule a free in-home window estimate, call our office in Crystal Lake at (815) 459-1750, in Morton at (309) 363-9668, or in Wisconsin at (262) 203-4881. You may also submit our online form.